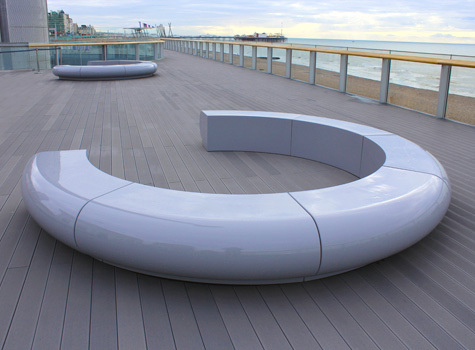 Corona creates an eye-catching C-shaped seating design for large contemporary gardens or urban environments. 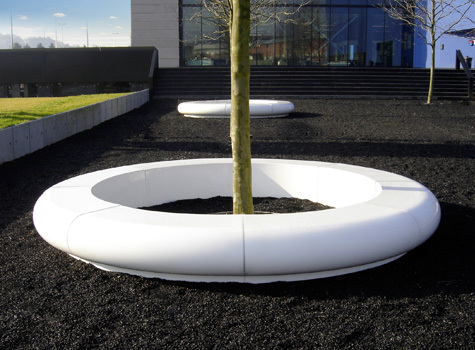 Corona is also available as a full circle which is ideal to frame trees and other outdoor features. Simple curves add beauty and fluidity to exteriors, interior meeting areas, showrooms, exhibition spaces, foyers and lobbies. Manufactured in segments, to allow great flexibility in space planning. 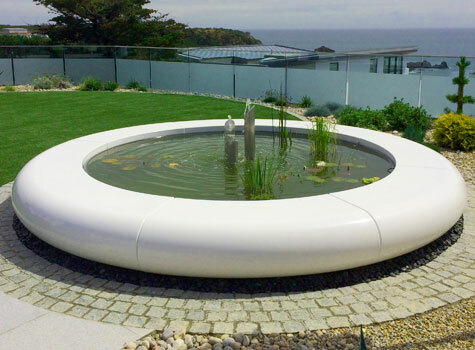 This seating is available as seating, water feature and planter options. 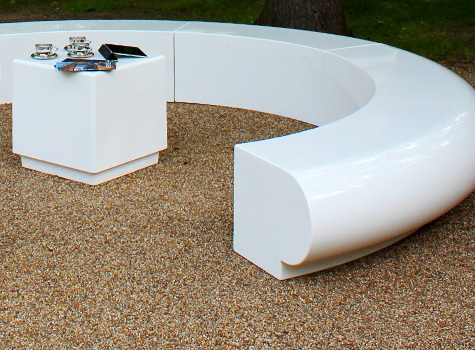 Our composite moulded furniture creates a welcoming space to both impress & relax visitors in commercial and residential areas. 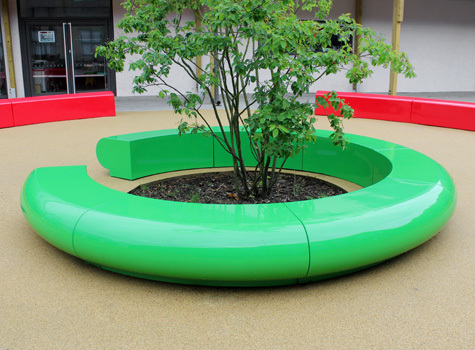 Our stylish, modern designs produce striking landscape features, each seat can be made in any BS/RAL colour to match any colour scheme or corporate interior. Corona is lightweight and modular in construction and thus easy to install. 8 Corona segments fit together to form a circle measuring 4m in diameter, ideal to frame trees and other garden features. 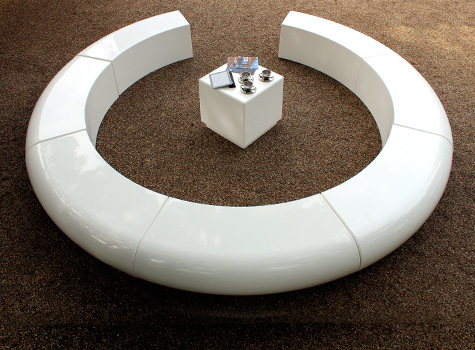 6 Corona segments create a 'C-shaped' seating option for large contemporary spaces. Smooth curve seat one side, with a straight back reverse, 4 Corona seats create a low border area ideal for breakout seating islands. 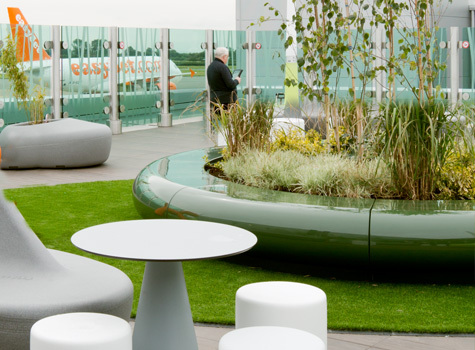 Where are our Corona seating and planters used? 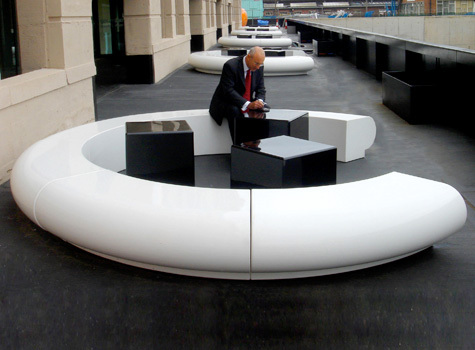 Our Corona seating and furniture is ideal for commercial and residential projects. Who do we manufacture Corona seating and planters for?